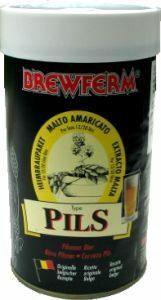 Light, blond beer, comparable with the commercial Lager beers (recipe for 20litres.) or the better Pilsner beers (recipe for 12litres.) Low alcohol content. Starting specific gravity: 1.042 Alcohol content :4.6%.